The 3rd technical meeting of the Project “Skills4Smart TCLF Industries 2030” was held in Porto, Portugal on the 22nd and 23rd January 2019 at the premises of CITEVE & CTCP with the participation of the project partners. The aim of the meeting was at first the presentation of the project’s state of the art, an overview of the activities implemented so far and a presentation of the next steps. Partners discussed about the ongoing WPs, which are WP II Overview of the intelligence work and presentation of results, WP III Future needed skills and trends for the TCLF sector, WP IV Monitoring Methodology and WP X Overview of completed dissemination activities, planning of upcoming dissemination work. In addition, partners exchanged views on the WP VII Design VET Curricula based on the results obtained from WPII, III and V. The second day was dedicated to the presentation of administrative and financial issues. Moreover, a part of the meeting was about the presentations of WP VI Attractiveness of TCLF and the planning of development a new sectoral identity to attract and retain new workforce in the TCLF sectors. 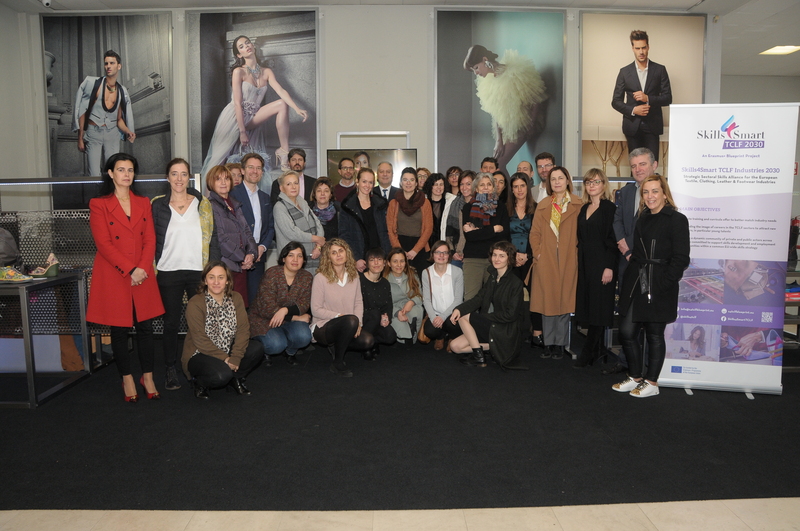 The last part of the meeting was devoted to WP XI European Fashion Campus, state of play and next steps.